Christin’s passion is making sure her clients receive the highest standard of care in every transaction through attention to detail and with a spirit that truly cares about people.  With over 12 years under her belt selling real estate in and around Atlanta, Christin brings extensive experience and a deep knowledge of the Atlanta market that is the backbone to the success of the Christin Coffin Group. Christin lives in Sandy Springs with her husband Jon, their 3 year old boxer, Weston, and their two cats. When she's not working hard for her clients, Christin enjoys traveling, working out, watching sports, chips and salsa, good bourbon, and hanging out with family and friends. We believe that buying or selling real estate is more than a transaction — it’s about your home. Selling a home represents so much more than placing your home on the market. It’s a process that can be filled with emotional and financial stress. We take great pride in handling every detail for our clients, and supporting them every step of the way. For our clients, we leverage our years in the real estate industry, business relationships we have formed, and a history of providing a first class experience for our clients, all to make the process less stressful, more successful, and leading to a final result that exceeds your expectations. Simply put, we value relationships over revenue. We have built our business on referrals by treating each client like a friend whose happiness and satisfaction is of upmost importance. It’s no surprise that the great relationships we create with our clients during the buying and selling process extend beyond the closing table because we truly value these relationships and work hard to make each one of our clients feel like they are the most important…because to us, they are! We work with our buyers to find the right home that best fits their needs and we advocate for them so that they get their offers accepted with the best possible price and terms. Conversely, we use carefully honed negotiation skills to get our sellers the highest possible price with the best possible terms. We are relentless in the pursuit of the best deal for you, as a buyer or a seller. We will always ensure that your interests and investments are protected. That may even mean telling you when to walk away from an overvalued property or to wait to sell your home to get the best ROI. We use our powerful local and national network to bring qualified buyers to our seller’s homes, well before any open house. And we have access to listings before they’re available to the general public, giving our buyers a clear advantage. Buying or selling a home can be an emotional experience — a home represents your biggest investment and your future. We are here to ensure that your stress is reduced, you are well-informed, and you feel fully supported throughout the process from beginning to end. We know that buying a home is one of the most significant purchases you will make in your lifetime. That’s why our goal is to help you navigate the home buying process with confidence and ease. We follow our own step by step system tailored to each buyer in order to make sure you receive the highest standard of care with every purchase! Whether this is your first time buying a home or you are an experienced buyer, you need someone you can trust to guide you through the process with care, commitment, and guidance, which happen to be our three core values. All of our buyer clients receive a Buyer’s Binder which includes a comprehensive guide with essential info about the home buying process, as well as all of the resources you will need to achieve this milestone. We are committed to guiding you every step of the way from helping you find the perfect home to negotiating the terms of the contract to getting you ready for closing. Our guidance doesn’t end at the closing table. We are always here to help you. Whether you need a referral from our extensive list of vendors or even recommendations on where to eat in certain neighborhoods, we’ve got your back! ­­"Christin is the best! She made every step of the process as smooth and simple as possible. We are so thankful to have worked with her. All our expectations were exceeded and it was all due to her hard work. Thank you!" - Jeff and Kayla P.
"Christin made our buying experience incredible. Christin was working for us, and made us feel like we were her only clients. We can say, without a doubt, if and when we decide to sell, Christin will be our agent. We wouldn't go with anyone else. EVER." - Ethan and Jessica G.
"Christin recently closed a transaction with a Client while working with an out of state Seller (me) representing myself. She worked diligently navigating various challenges throughout the transaction with the utmost professionalism and effort in order to get the transaction closed. Her experience was evident throughout the entire process." "Christin did an outstanding job throughout the whole process of my home search, offering, and closing. She has a great attitude, always on time, researched in advanced about the properties I wanted to see, and has a great sense of the market value regardless of the listing price. I definitely give Christin FIVE STARS, recommend a 101%, and will choose her again as my Realtor without regrets!" “We use Christin for ALL of our many residential and commercial real estate transactions. She is instrumental in making sure all of our deals go as smoothly and stress free as possible. Christin is an experienced negotiator and always fights hard to get us the best deal. She's sharp, doesn't miss a beat, and we can always trust her to take great care of us." -Michael and Ken B .